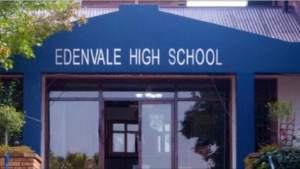 Six suspects, who were arrested following a robbery and shootout at Edenvale High school East of Johannesburg last week, are expected to appear in the Germiston Magistrate’s Court on Monday. Four suspects were initially arrested last week, while another two suspects were apprehended over the weekend. Two alleged robbers were shot dead on the scene. The suspects are facing charges of business robbery, possession of unlicensed firearms and attempted murder. The post Edenvale shooting suspects to appear in court appeared first on SABC News – Breaking news, special reports, world, business, sport coverage of all South African current events. Africa's news leader..